I’m far from the first person to wax lyrical about New Mexico, and, so long as the chiles ripen and the highways go on endlessly, I’m sure I won’t be the last. People have been discovering the magic of this spectacular corner of the planet for eons, but the magic never ceases to amaze. For me, New Mexico is travel. 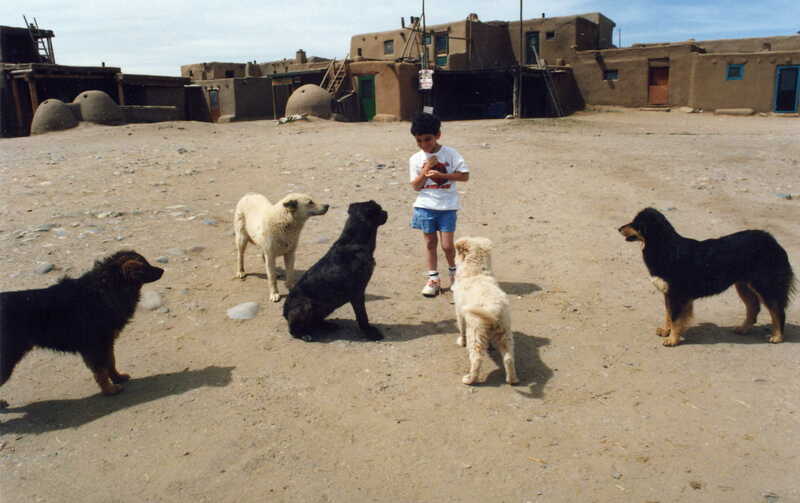 My first real experience with travel, when I was five-and-a-half, was a two-week journey around New Mexico. 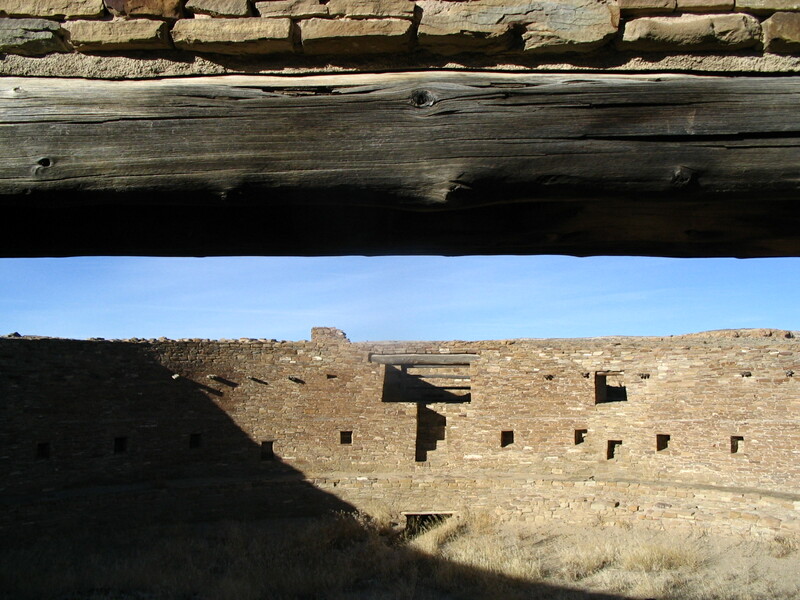 Some of my strongest, earliest memories are of that trip: absorbing the vastness of a mostly treeless land, staring at clouds, road-tripping, scrambling up mesas to 1000-year-old Pueblo cities, descending into valleys filled with centuries-old Spanish towns, watching faith-filled pilgrims collect sand at a two century-old sanctuary, waking up to breakfasts of blue corn enchiladas doused in red chile. That first trip shaped my concept of travel, the idea that I should seek out sights I’ve never seen, experience things I’ve never experienced before, meet people I wouldn’t otherwise meet, and always, always explore. I’ve been back twice since that first journey, once in college when I spent several weeks thirty miles off a paved road at an archaeological study amid the ruins of Chaco Canyon, and once again, recently, when I turned 28. In total, I’ve probably spent about a month-and-a-half in New Mexico. I’ve never run out of new vistas to see, new people to meet, new canyons to wander. And yet, when I look at a map, I realize I’ve scratched barely a quarter of the state. The vastness of New Mexico is almost incomprehensible. Looking out from the top of a mesa is like looking out over an ocean, more than a mile in the air, of tans and reds and greens and yellows beneath the bluest sky, or like looking across the surface of the Moon. The colors are mostly subtle – soft greens, soft reds, beige, white and yellow wildflowers – but then New Mexico is rarely in-your-face. Like its chiles, the state has a slower burn that eventually overcomes you. This is a land of endless highways stretching off to the horizon. Of immense deserts terminating in the jagged blue lines of alpine peaks. Of gorges, like that of the Rio Grande near Taos, yawning hundreds of feet beneath you. Of mesas rising suddenly beside you like ancient giants. Of red cliffs, like those at Abiquiu, rising suddenly from dust and sand. Of vast grasslands, elk grazing among them, occupying the caldera of same ancient volcano. Of unexpected, improbable enormity. I’m by no means a prayerful man, but I recall whispering a silent shehecheyanu sitting on the canyon wall at Peñasco Blanco, a thousand year-old great house at my back and millions of years and hundreds of square miles of natural and human history stretching out before me in the sand and scrub. It’s quiet in the desert – except for the wind, absurdly quiet – and you are often left with only your thoughts. Away from the cities, the sky is star-filled, and, on the eve of a new moon, darker than any dark you’ve ever known. It’s easy to see why so many of the world’s religions took shape in the desert. New Mexico is, more than any place I’ve known, filled with people just like the gallery owner, people from somewhere else who fell in love with this place and never left it. People who felt influenced by the landscape or the history or the peoples of this land and couldn’t imagine going back where they came from. And between the light and the clouds and the endless landscape, it’s no surprise the state is filled with artists. Everyone you meet seems to practice one craft or another. 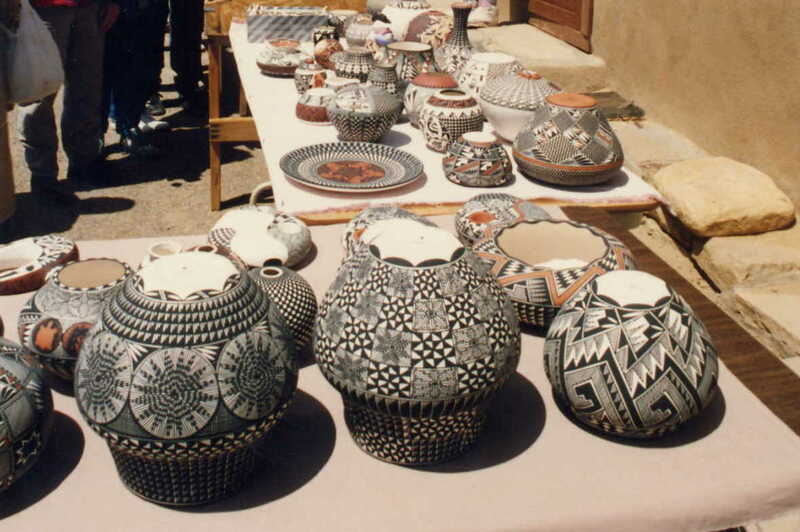 Among the Pueblo peoples, among the Navajo, and in the old Spanish towns like Chimayó and Cordova, you find incredible potters, silversmiths, jewelry-makers, woodcarvers, and weavers practicing ancient art forms handed down through the generations. Among the Anglos, you tend to find people from elsewhere who came here once upon a time, on the trails of Georgia O’Keefe or Edward Curtis or Ansel Adams, and picked up a paintbrush or camera and never put it down. There are galleries (some good, most not so good and terrible) everywhere, in the hippie-artist enclave of Madrid, along Canyon Road in Santa Fe, in Taos, and all along the 60-mile High Road between them. It’s easy to mock them, giving up corporate jobs back East to find themselves, but it’s hard to blame them. Nothing makes you want to paint more than the view of the Sangre de Cristo Mountains from Tsankawi near Los Alamos, or sketch more than standing in the center of the plaza at Taos Pueblo. New Mexico is not only actually big, it just feels big. Seeing it makes you feel smaller. I imagine, to some, the sheer immensity, coupled with the quiet of the place, is alarming. It’s humbling and perhaps attracts only a certain type. My father theorizes New Mexicans are as nice as they are because the sheer scale of the landscape prevents your ego from getting too big. His favorite story is of a man at the gatehouse at Sandia Peak near Albuquerque. Access to the top of the mountain is by means of, by some measure, the world’s longest aerial tramway, a truly spectacular ride over canyons, past boulders bigger than eighteen-wheelers, over bears and grazing deer, and up into the clouds. The temperature at the top of the mountain is generally least 20 degrees lower than the valley below it. My dad asked the man at the gatehouse what the temperature at the top as that day. “When I last checked, it was about 30 degrees,” he said. “Guess we should wear jackets then,” my dad said back. His response was telling: “I only give you the information. I don’t tell you what to do with it.” New Mexicans, in my experience, seem not to presume to know everything. My dad, in somewhat reverent terms, calls this the Sandia Way. I’ve never experienced a place so characterized by scent as New Mexico. 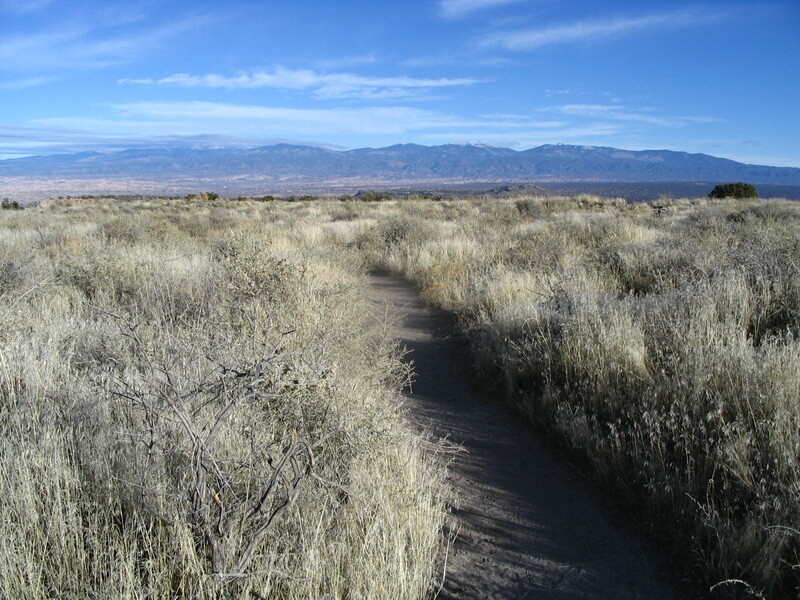 The desert floor, particularly after the rains, smells of sage and juniper and white and yellow wildflowers. The mountains smell of piñon pines. And, in the towns, there’s the smell of green chiles stewing and the smoky perfume of red chiles drying in the sun. You really can’t visit New Mexico without engaging in the red-green chile debate. So far as anyone can tell, New Mexico is the only state with an official question: “Red or green?” Most peppers in New Mexico come from Hatch, on the Rio Grande north of Las Cruces. For whatever reason – the water, the air, the soil, the elevation – peppers from Hatch have a particular taste and piquancy. Grown anywhere outside New Mexico, they’re known as Anaheim peppers and relatively bland. Green chile is a sauce made from the chile when harvested under-ripe and cooked fresh. 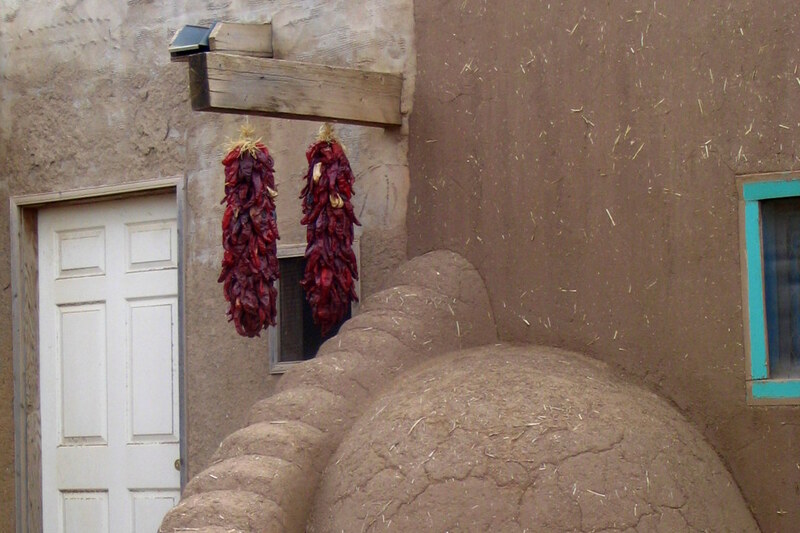 Red chile is a sauce, more of a roux, made from the pepper after it is sun-dried and ground. These two sauces define New Mexican cuisine, from carne adovada (pork stewed in red chile) to green chile stew, and play some part in nearly every dish. Everyone has their opinion on red or green. I go back and forth – green one trip, red another. But, if you really can’t decide, just ask for Christmas. New Mexican food is distinct among American cuisines, and, though there are certainly similarities, distinct from Northern Mexican, Tex-Mex, and Cal-Mex foodways. Besides red and green chiles, whose importance really can’t be overstated, this is a land of sopaipillas (pillowy, fried breads) topped with honey, posole (a stew made of hominy corn), carne adovada, and blue corn in everything from tortillas to pancakes to atole. Santa Fe, catering as it does to a primarily coastal and metropolitan Texan crowd wanting to experience New Mexico without actually experiencing it, is filled with perfectly good high-end eateries. If you’d like to sample sushi at 7,000 feet, be my guest. 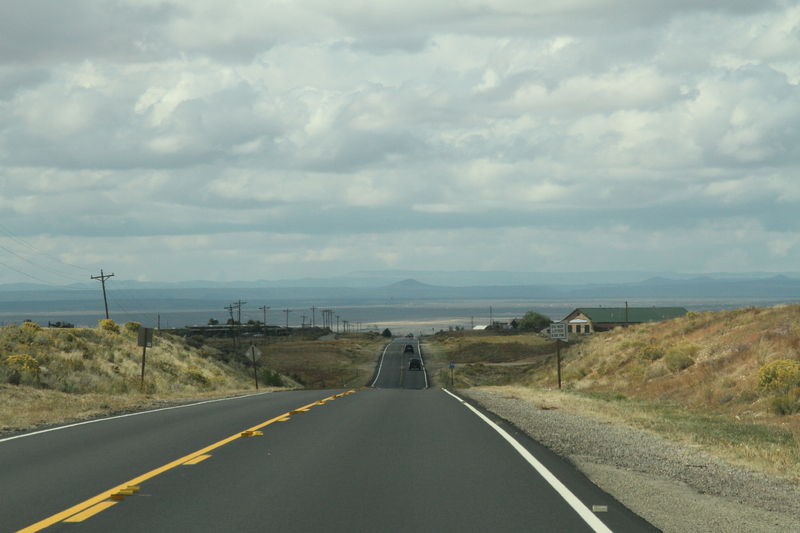 But if you want to experience New Mexico, you have to get out to the roadside diners and dive bars. This past trip, I discovered the Duran Central Pharmacy on old Route 66 in Albuquerque, an old pharmacy dating from 1942 near the plaza and Downtown. Behind the working pharmacy is a decent-sized diner space with 70s-orange chairs and counter covered in Spanish tiles and wood-patterned Formica. Behind the counter, a group of New Mexican women hand-roll tortillas, stew red and green chiles and pinto beans, and fry up sopaipillas. If you go, try the blue corn enchiladas with red chile. The town is best known for its sanctuary, a two hundred-year old American Lourdes attracting hundreds of thousands of pilgrims a year who leave canes, crutches, wheelchairs, and photos of loved ones who have fallen ill or passed away. They fill plastic bags with supposedly miraculous sand from El Pocito, a tiny well in the center of a tiny room accessible only through a tiny door, built on the spot where Jesus is said to have appeared in the form of a crucifix. Even for those, like me, who are not Catholic or even particularly religious, visiting the sanctuary can still be an incredibly moving experience. The road to the sanctuary is lined with shops selling retablos, bultos, santos, and other religious iconography. But what attracts me most are the ristras, the chains of drying chiles, and the ever-present, pungent perfume of powdered red chile. Dried red Chimayó chile has a particular taste and smokiness to it. Unlike commercial chili powders, it is 100% chile, without any garlic powder or other spices added. You’d do well to buy a bag or two to take home with you (or buy it online and try this recipe). New Mexico, to me, is not a place of doing so much as a place of being. Of course, I love running around the canyons and the mountains, exploring the Pueblos and riding the tramway up Sandia, driving the blue highways and eating chiles. But this isn’t a place of clear landmarks, a place where you have to follow a particular itinerary or else feel like you haven’t seen New Mexico. You couldn’t possibly see everything. Every canyon and mesa is different. 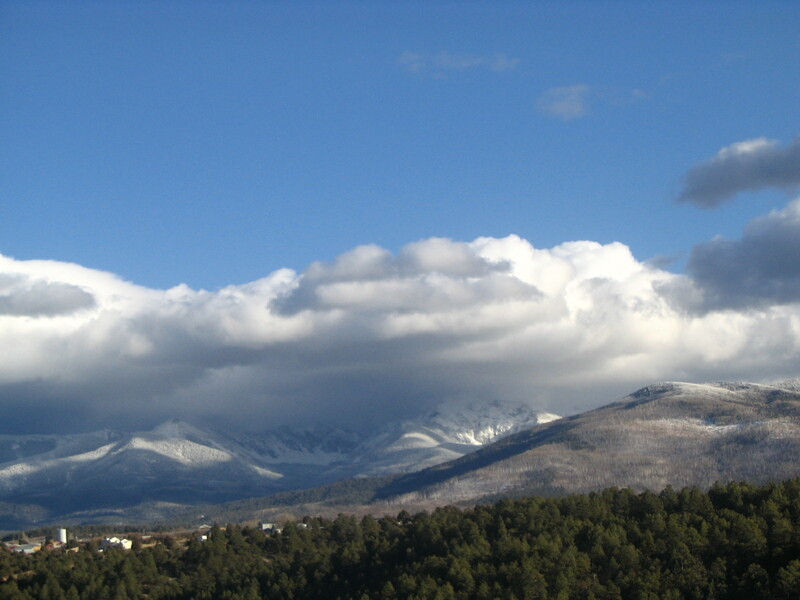 As the light and seasons change, each drive along the High Road from Santa Fe to Taos feels different from the last. And that’s sort of freeing. 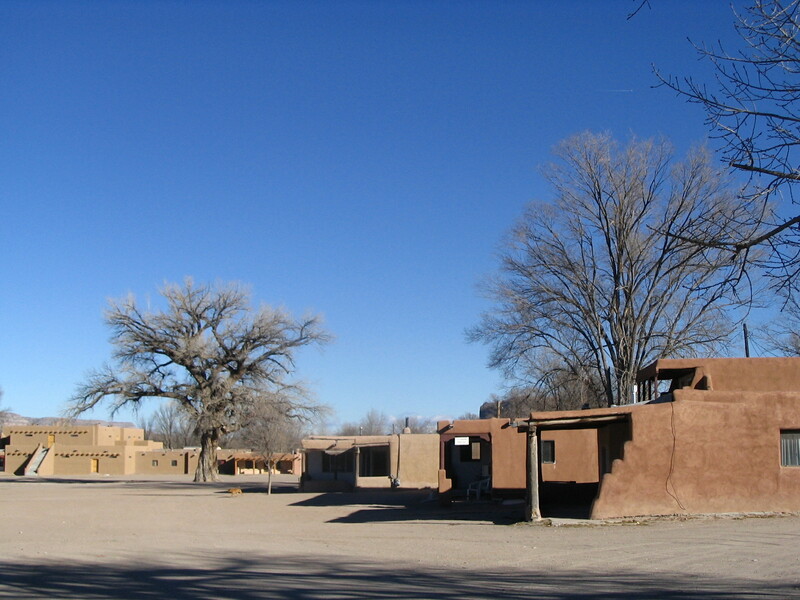 Knowing you couldn’t possibly see everything, you have time to get lost in that perfect hike through Bandelier or Chaco Canyon or the tent rocks at Kasha-Katuwe near Cochiti Pueblo, to speak with an artist carrying on a centuries-old family tradition, to spend hours at a Pueblo dance, get lost on the byways, to linger over that perfect bowl of posole or the taste of honey on sopaipilla at the end of a meal. Maybe it’s the sheer altitude that gets me, but the senses feel heightened. To not explore that, to focus your travel instead on the spas and shops of Taos and Santa Fe, is, I think, to miss what’s most special about the Land of Enchantment – the open land, the sky, the Pueblos and the old Spanish towns, the flavor of chile, the smell of sage, and the sound of the wind through the desert. After sixteen years I just left Santa Fe and I miss all of the above. I’m back East now with my Grands. I now bathe in Delicious Diversity….thats wonder filled too….. I never knew mehico was a treeless land. I wish I could take a road trip over there. Great post, I was an air force brat in NM. Lived near Alamogordo for 5yrs. Loved it. Inspiring reading made me want to travel my own state (New Mexico)!! I didn’t realize how many opportunities are awaiting me in my own backyard. There’s so much more to this place than meets the eye. 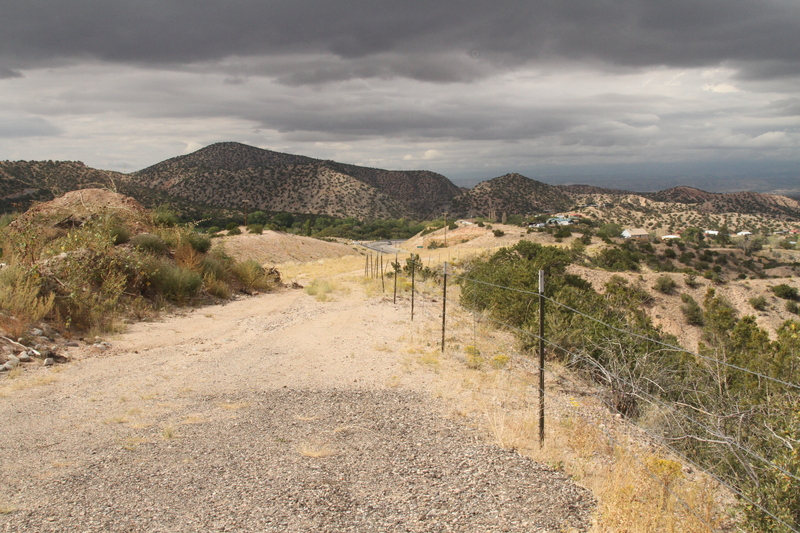 I am interested in getting a camera and shooting the landscapes and mesas out here. Great article. I am from New Mexico and I have not seen all this place has to offer. This is a fine piece of travel journalism accompanied by beautiful photos. You’ve rekindled my desire to see this special state. It’s been on my bucket list for years. Reblogged this on مدونة إليجنت نوجا. Great pictures! Fell in love with the Taos area 2 years ago & had a great time in the White Rock/Los Alamos area this summer – we’re seriously considering retiring there. It’s a combination if the altitude & the open spaces that make it almost addictive. That and the people that I’ve met in NM are honestly among the friendliest that I’ve met anywhere. The photos were great. I found the pottery amazing! Now I see the beautiful side of New Mexico. The clouds! Thank you for writing about this. Reblogged this on VK POSTING. Reblogged this on AHEM! Attention Please…. Beautifully written and great photos! Saw this on Freshly Pressed and just had to click! I grew up in NM, and in fact just visited my parents there. I love seeing my state through someone else’s eyes. You’ve captured NM beautifully, and your photos are amazing. Thanks for that! Reblogged this on Midnight Purple Thoughts . Loved your description and nice post! There is something magical about New Mexico! I need to visit soon! Thank you for a great post! I have been to all of the places you have depicted in photographs, and you have described northern New Mexico perfectly. I bought a piece of Maria Martinez and was honored to be able to visit San Ildefonso to see where she made such magnificent art. Fabulous post. Thank you for reminding me about adding a NM road trip to my travel list. Beautiful photo essay. I am one of those people from somewhere else, came to this place, fell in love with it and never left it. This is an excellent photo essay of my adopted state. What time of year would be best for a first visit? Hard to say, and depends on what you’re looking for. I’ve been there in winter, spring, and fall, and each offers its own charms. 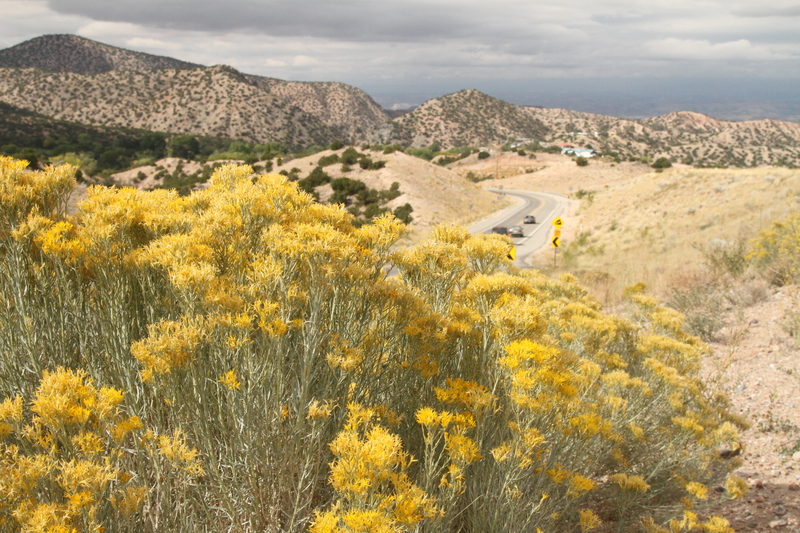 The desert blooms in spring, but it’s also bright yellow in fall and the aspens up north are amazing then. 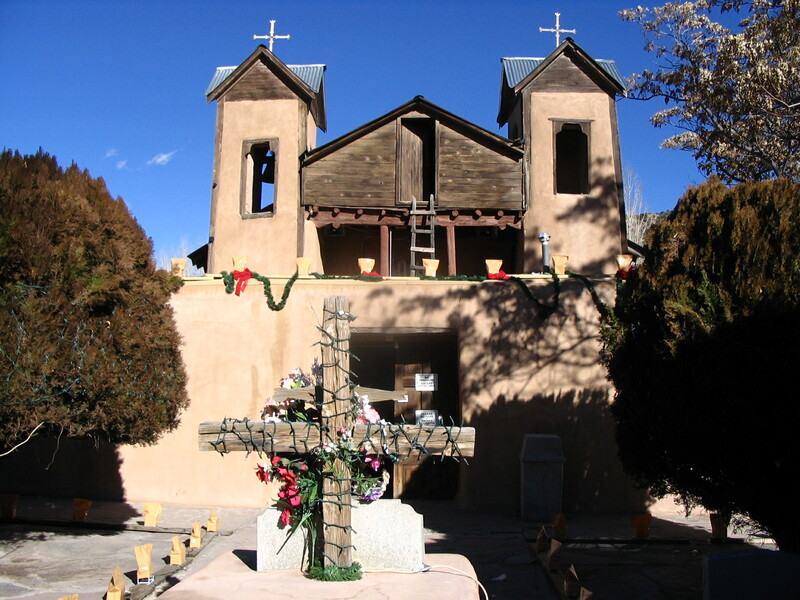 Winter can be a bit more monochromatic, but traditional holidays in New Mexico can be magical. Happy travels! Thanks, spring it will be! Amazing! Acoma pottery is just amazing! What a superb post and the photos are amazing…it just looks a stunning place.